Each month, Accounts Payable will upload all p-card transactions. Card holders will add an account number and receipts in order to submit the transactions. Supervisors will review all transactions before they are submitted to Accounts Payable. 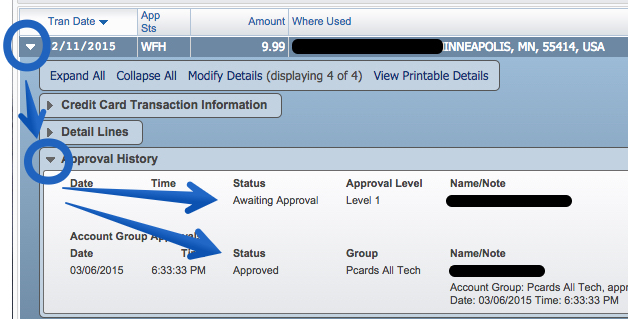 Highlight each transaction missing an “App Sts” and click the Edit button. Type a Description of the transaction. Click the Submit for Approval button.